We’re Ellie & Nik. We met on a Yoga Trip in Greece in 2016 and since then have been pursuing a life of sustainability, self-sufficiency and eco friendliness. This passion made us try the volunteering experience at English Getaway. Ellie studied English Literature & Linguistics at the University of Manchester, and Nik achieved a first class honours in Philosophy at Newcastle -upon-Tyne. Both have been excited by different methods of learning through travel and experience from a young age. 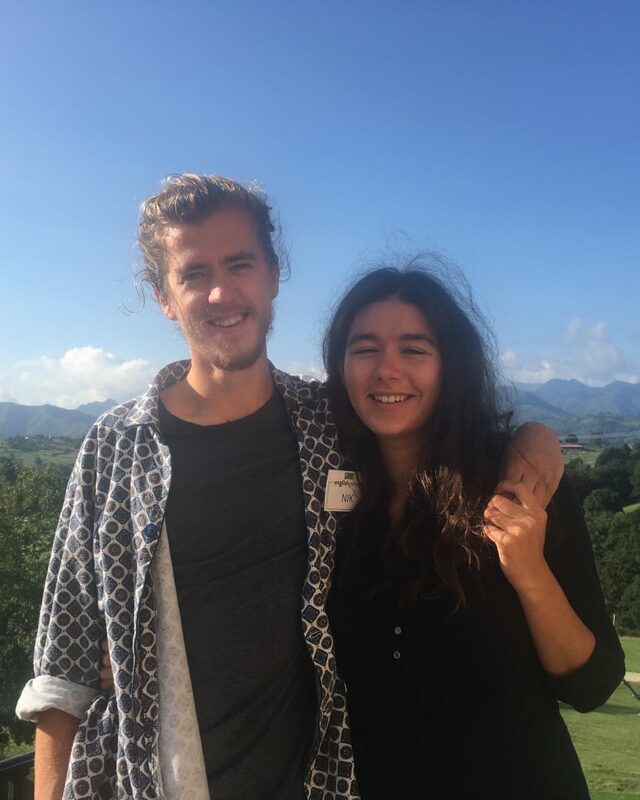 Ellie flew to Girona on her gap year to spend 3 months as an au pair teaching a family how to speak English, Nik went to Brazil and volunteered on a rainforest restoration project called Iracambi. Ellie picked up some Spanish as well as some understanding of Catalan, and Nik became comfortable with casual Portuguese. After finishing our respective degrees in June of 2016, we agreed we wanted to make something of our own eco-community, something with land, natural structures and lots of vegetables. First Ellie went volunteering in Ghana with a women’s charity called WOSAG where she introduced reusable sanitary pads to rural communities as a means of hygiene as well as income. Nik got a job in a local restaurant to save some money and get some experience before our planned journey. We left for Asturias in March 2017, drawn to the North for the mountains, luscious scenery and the amount of permaculture projects listed on workaway.info. Now we have a base of our own, amongst making compost and bashing brambles. Nik is studying a TEFL course in order to work as a language assistant in local schools. We are both intending to teach privately to support ourselves and help the local community. We came to the Getaway directly from Finisterre, as we’d just finished walking El Camino De Santiago. Zach & Paula gave us such a warm welcome and we connected instantly as they told us how they had met on the camino. It’s easy to see how their project is inspired by the camino; with a mixture of people from English and Spanish speaking cultures exchanging knowledge and experience in Northern Spain. 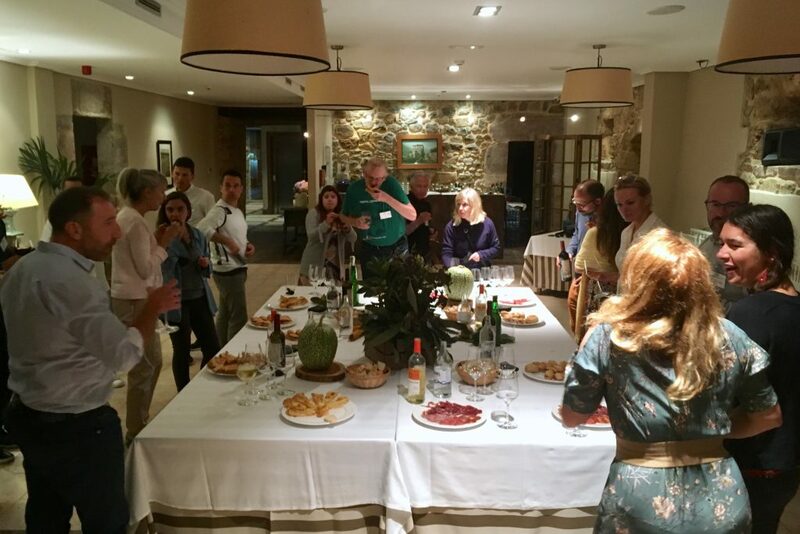 The magnificent Asturian-style menu also honoured the food traditions of our surroundings, which gave the program a balance of maintaining respect for Spanish culture whilst teaching another language. The structure of the program was packed with a range of activities to keep motivation high and enjoyment at a maximum. As a volunteer, it was very enjoyable to get to know so many people through the one-to-one discussions and participation in group activities. Both teaching and learning was made easy by the fact that volunteer to student relationships quickly progressed into friendships. We’re still in contact with everyone we met on the Getaway, and even lived with one of the students a few months later, to help with work needed on their land. English Getaway is not just about learning another language, through meeting a range of people knowledge grows and one can’t help learning about places, experiences, stories, other lives and opportunities in the world. As teachers, we learned so much from the Getaway experience, and were so happy to see the incomparable progress of each student in just seven days. 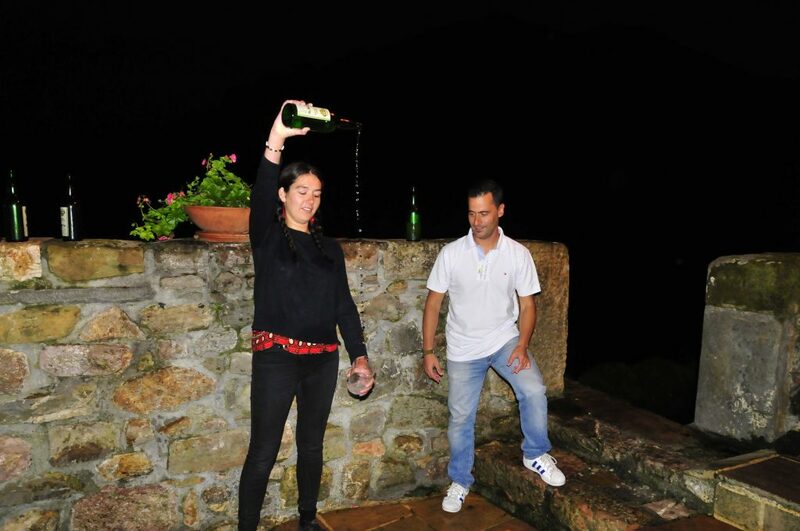 If there was ever a doubt about the immersion method, English Getaway eradicates that. It’s truly inspiring to see projects such as this in rural Asturias working so successfully. Thank you Zach and Paula, we’ll surely see you in the mountains again soon.